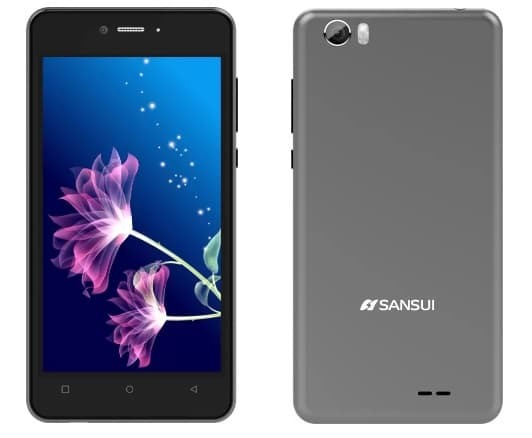 Sansui Mobiles, on Friday, has launched a new smartphone named Sansui Horizon 2 in India. The smartphone comes with an IR Blaster, 4G VoLTE, dual SIM support, and several other features at a price of Rs 4,999 only. The device runs Android Nougat 7.0 straight out of the box and also supports OTG connectivity. The smartphone will be available starting from May 15th, 2017 exclusively on Flipkart. Sansui Horizon 2 has a rectangular design complemented by curved edges at the corner. It has a dimension of 146.80 mm x 74.70 mm x 9.15 mm and hosts a 5-inch touchscreen display with a resolution of 720 x 1280 pixels. The phone has a 1.25 GHz quad-core MediaTek MT6737VW SoC processor which is supported by 2 GB of RAM. It has 16 GB of internal storage which is further expandable up to 64 GB via microSD. Camera features are also pretty decent as the phone has an 8 MP primary camera with 5 MP front camera. The primary camera, equipped with LED flash, is good for capturing detailed images while the secondary camera is only good for taking selfies. The rear camera also supports night vision and helps to capture pictures even under low light. Connectivity features include but are not limited to Wi-Fi, Bluetooth, GPS, 4G VoLTE, USB tethering, etc. A 3.5 mm jack is also present for FM radio and multimedia support. The USB further allows OTG tethering with other memory storage devices which also serves as an alternate storage. Ambient Light sensor and Proximity sensor are the only sensors present in this device. It has the IR Blaster which allows controlling several remote appliances like AC, TV, etc. The device is powered by a 2450 mAh Li-ion battery which delivers up to one day of duty on a single charge. Hence, at a price of Rs 4,999, Horizon 2 offers a decent smartphone with a nice pair of cameras and sensor features. Those who are looking for a smartphone with mid-range specs, especially for regular use, can definitely give it a try. However, with the likes of other devices, especially Redmi series, which comes with strong hardware at a 5k price, it will be difficult for Horizon 2 to compete against them in the present smartphone market.